Whether you're hunting birds or mammals, this small game load is a great bet. 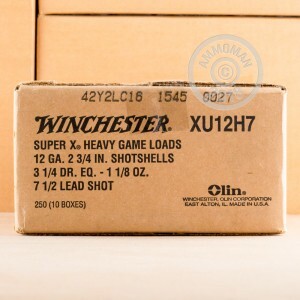 These 12 gauge shells come in boxes of 25 and fire a 1-1/8 oz. column of #7.5 shot at a muzzle velocity of 1,255 feet per second. 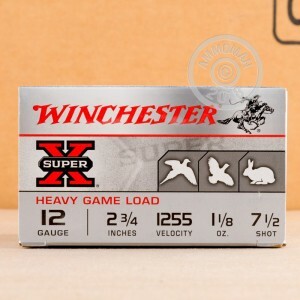 This results in balanced performance with solid patterns for taking down quail, rabbits, squirrels, or other game without a punishing recoil that will tire you out if you use this load for shooting clays or paper targets. 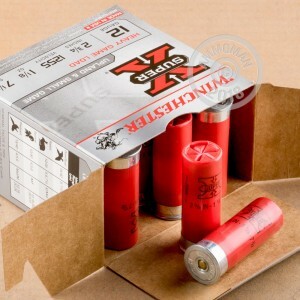 Winchester shotshells are loaded in Oxford, Mississippi using reliable 209 primers and one piece hinged wads.